Densey Clyne has produced an new book-her 32nd! This one is her best. 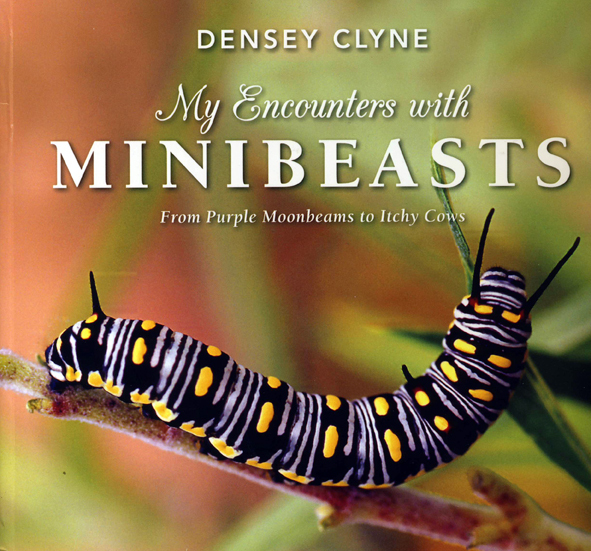 It deals with her encounters with a variety of invertebrates-katydids, caterpillars, spiders, bugs etc. Once you start reading, you will not be able to put it down and I guarantee you will uncover some observation that is new to you be it the Cast-net Spider using a faecal lure for the flies it hopes to catch or the Magnificent Spider luring male moths by simulating the female's scent. Densey's writing is elegant and fluid. It appeals to both the scientist and the interested naturalist. She talks about pollination noting that without it there would be little or no food for us among others. Anything that comes from flowering plants is the result of pollination by insects. There are 35 chapters dealing with observations over the years. There are short jaunts to New Guinea and Borneo in her book as well. The photography is superb and well reproduced with a number of photos taken by her colleague Jim Frazier: https://en.wikipedia.org/wiki/Jim_Frazier_(inventor). In the introduction to the book she state" Writing these stories has given me almost as much pleasure as the encounters themselves. Since childhood my two greatest interests have been the world of nature and the world of words Happily for me the two worlds merged." And happily for us we have this book. The book is a welcome addition to the library and would also make a very nice Christmas present for a lucky individual. My Encounters with Minibeats From Purple Moonbeams to Itchy Cows. New Holland Publishers ISBN 9781925546170.